Most summer butterflies are in full gear. Now is a great time of year to add skippers to your square’s list. Dun Skipper, Tawny-edged Skipper, Long Dash, Peck’s Skipper, and European Skipper are quite common in meadows these days. There have been a couple of great records out of Nova Scotia recently. 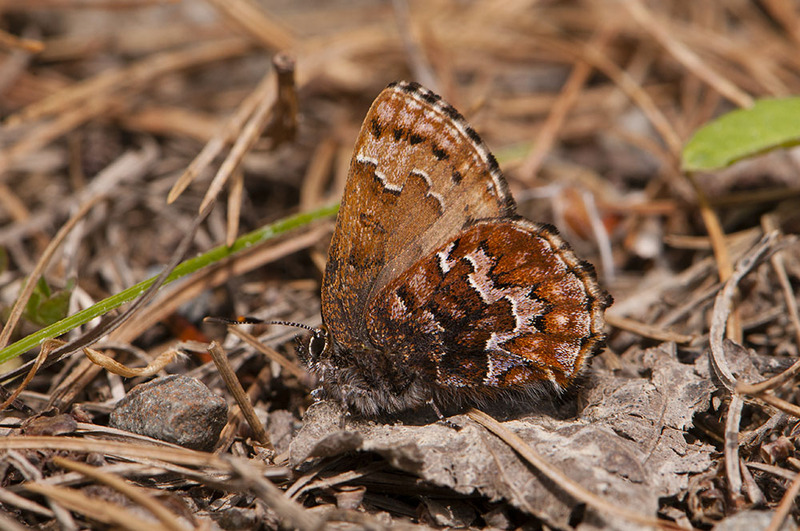 Derek Bridgehouse and Phil Schappert picked up Northern Cloudywing near Debert last week. This is well west of any other Atlas-period Nova Scotia records, so their record fills in a significant gap! 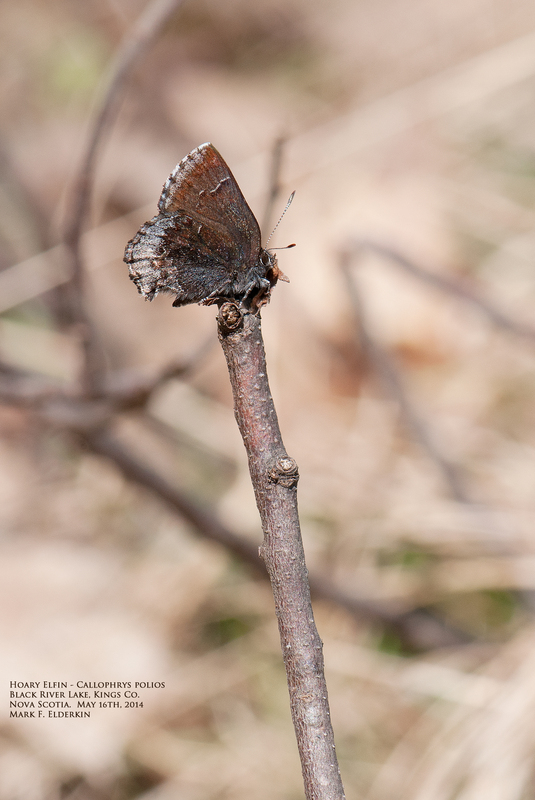 Prior to the Atlas there were very few records of Northern Cloudywing from Nova Scotia. 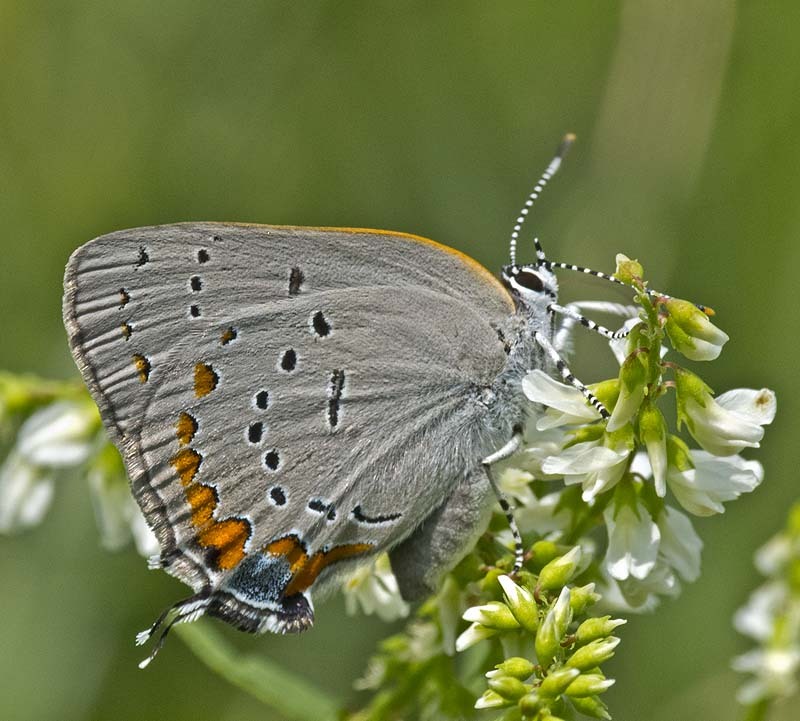 On July 10 Mark Elderkin found 10 Banded Hairstreaks at a patch of milkweed behind the Nova Scotia Department of Natural Resources, Wildlife Division offices in Kentville. This is a new square for the species. So far it has been found in just four other squares, two in Nova Scotia and two in New Brunswick. This You can check out more Mark’s great shots here. 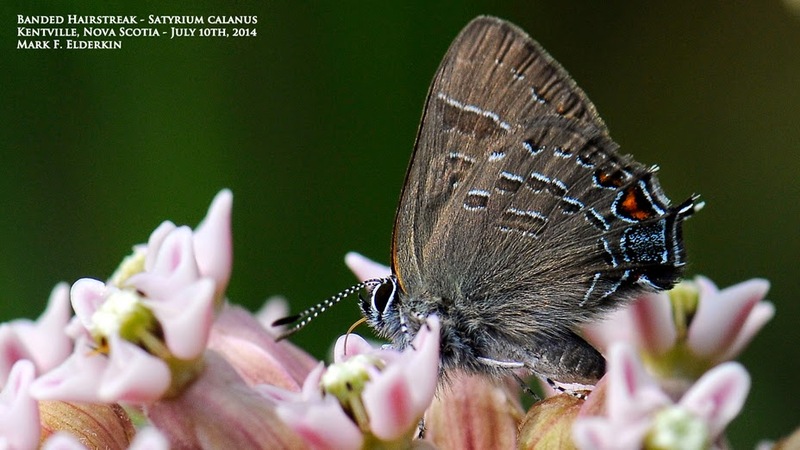 First Atlas record for Early Hairstreak! 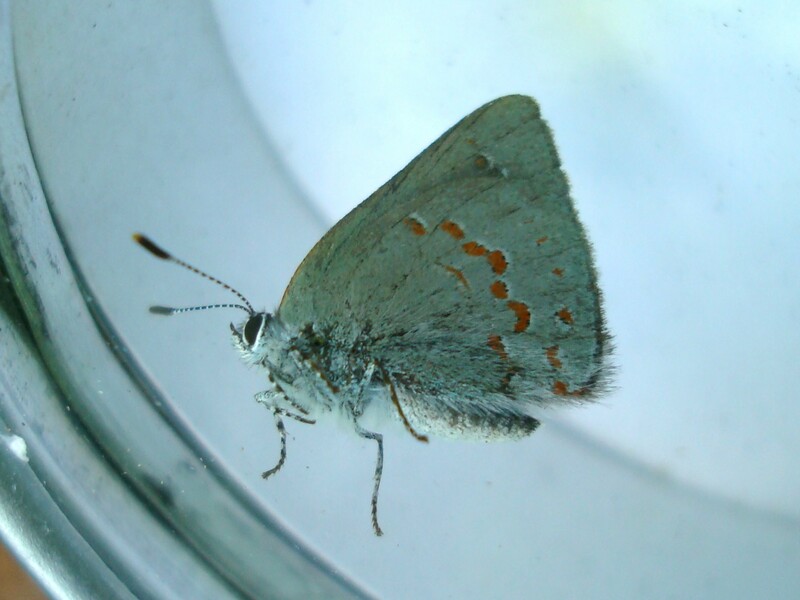 Early Hairstreak is among the Maritimes’ rarest butterfly species. Larvae of Early Hairstreak feed on the nuts of American Beech, and as a result the species is only found in hardwood stands with mature beech trees. 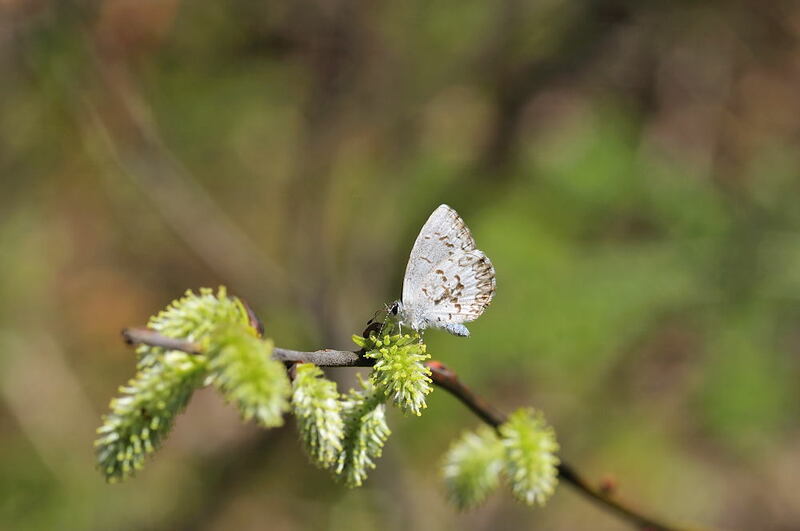 Within these habitats Early Hairstreak is seldom encountered, though it is possible that adults spend most of their time in the forest canopy, resulting in very low levels of detection. Though it has been found in the past at sites in all three Maritimes provinces, the species hadn’t been found in during the Atlas period until now. 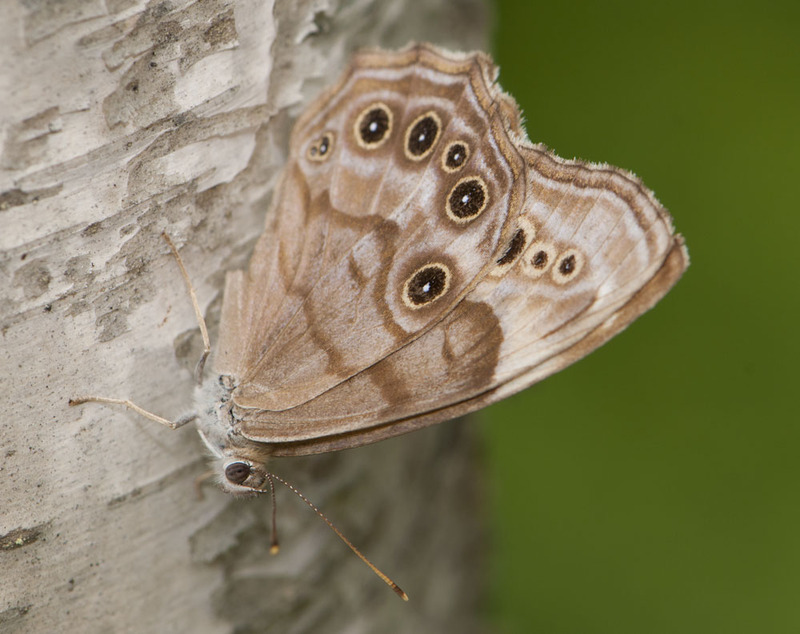 On June 8, Roy LaPointe photographed the above butterfly just north of Notre-Dame-de-Lourdes, near Edmundston. Early Hairstreak typically flies mid May to mid June, though with this year’s delayed season it might be on the wing until late June. If you can get into some mature hardwoods with beech keep your eyes peeled! When it is encountered it is typically at wet patches on roads (this is where Roy found his) or visiting flowers. Now that Early Hairstreak has been found the only regularly occurring species not recorded during the Atlas period is Greenish Blue. In the past this species has been fairly common in northern New Brunswick on roadsides and other weedy habitats with lots of clovers. It should be flying now or very soon, so be sure to double check your blues and azures. The season is starting to pick up, with new species on the wing all the time. Canadian Tiger Swallowtail is now out in force, and Hobomok Skipper is starting to appear along grassy paths. Some of our rarer species are just starting too. Meadow Fritillary, Common Roadside Skipper, and Pepper and Salt Skipper are all flying. Refer to the Target Species document for more information. The Atlas website has been updated. All the old content is still there, but there are some new features like the survey effort map. Use this map to target your surveys this year. Last years tabular results are also posted. Elfins were found at a number of locations over the weekend. Mark Elderkin took this shot of a Hoary Elfin near Black River Lake, Kings County, on the 17th. He also got Brown Elfin, check out the photo on his blog. All the elfin species will be out for the next few weeks, watch for them on sunny days.